Maya Tångeberg-Grischin has in Kerala, India studied classical Indian dance and theatre. In this dissertation, she compares French pantomime of the 19th century with the abhinaya (acting) as it is found in the more than thousand years old Indian kûṭiyâṭṭaṃ. Deeply influenced by findings of neurobiology and neuro-aesthetics, Tångeberg-Grischin analyses gesture language and the expression of emotion. The results are compared with the advice given on gesture and the facial expression of emotion in the Nâṭyaúâstra, the oldest Indian treatise on dance, theatre and movement. “Inner” and “outer” acting techniques are connected in a specific mental-physical method useful for gesture language acting. 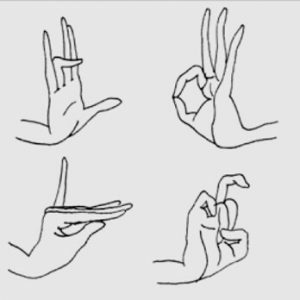 Tångeberg-Grischin establishes a theory of practice of the techniques of a non-encoded, widely understandable theatrical gesture language that hopefully creates new interest in the use of hand gesture in theatre. Tångeberg-Grischin is a Swiss mime artist, director and lecturer of physical theatre. Her specialties are pantomime, mime and mask theatre. 1965 she got in Paris the “Asian theatre shock” and since that time her work is influenced by the physical, colourful and representative Asian theatre styles.